With all the hype these days around performance and technical specifications of smartphones, the average user is often left wondering what is that makes one device stand out from the rest? Is it the core frequency, or is it the CPU architecture, or both which make one CPU stand out from the other? Since in layman terms, performance nearly always boils down to the CPU, RAM and software of a device, we decided to take a look at what makes Apple’s A9, found in the latest iPhone 6s and iPhone 6s Plus tick, and what is the CPU really made of? 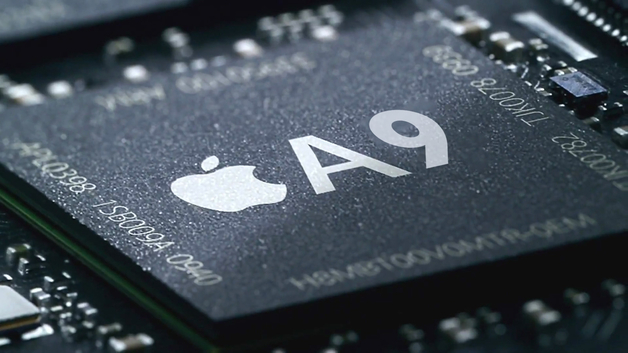 The Apple A9: What Is Cupertino’s Latest Offering Made Of? Apple demonstrated its technical and hardware prowess last year with the launch of the A8X in the iPad Air 2, which managed to put nearly every other CPU out there to shame, courtesy of its Tri-Core Cyclone architecture, the first of its kind in the mobile world. After the A9’s launch today, we’re eager to take a preliminary look at the processor, and see what makes Apple’s hardware work this time around. The Apple A9 is based on Samsung’s 14nm FinFET, which is the latest multi-gate solution available in the market as of now. Debuted by the Korean manufacturing giant with its Exynos 7420 at the beginning of this year, 14nm FinFET left all other SoCs at the tail end of the race. What makes FinFET different from the rest is the introduction of a ‘Fin’ from the Source to the Drain of a chip, which leads to the decrease of several occurrences that include current leakages, electron hot carrier injections and velocity saturation management. While the 14nm FinFET process by Samsung isn’t really a true 14nm process, it does constitute a die shrink. For example, taking the product off the M1 pitch multiplied by gate pitch divided by poly pitch we arrive at the density, which is 33% greater for 14nm FinFET than 20nm. Of course, in the industry only Intel has managed to produce ‘true’ processes with the correct gate fin and pitch sizes. The mainstream market on the other hand doesn’t usually go into the technicalities and just sees that Samsung is apparently matching Intel in its race to the smallest process. As far as yields are concerned, while Intel suffered major yield problems with 14nm, Samsung should be able to brute force the process once it starts risk production of its 10nm dies. As far as the 14nm FinFET goes, due to the low threshold voltage of the designs, you get to see improved power consumption in your devices, which is one of the benefits of the process. With the A9, Apple claims that the iPhone 6s and the iPhone 6s Plus offer 70% improved CPU performance. They’re manufactured on Samsung’s 14nm FinFET, and we’ll have to wait for some detailed breakdowns and die shots of the processor to see what really makes it tick. For now, we hope our brief summary of what makes FinFET tick explains to some extent what all the hype around the process on Apple’s A9 and upcoming SoCs is about. To learn in detail about the iPhone 6s and the iPhone 6s Plus, take a look at our detailed coverage of today’s event and stay tuned for more.